After last week’s look at one of the genuinely cool things I’ve got, this week I thought I’d show off one of the dorkier ones (yeah I’m gonna try and do this every weekend). 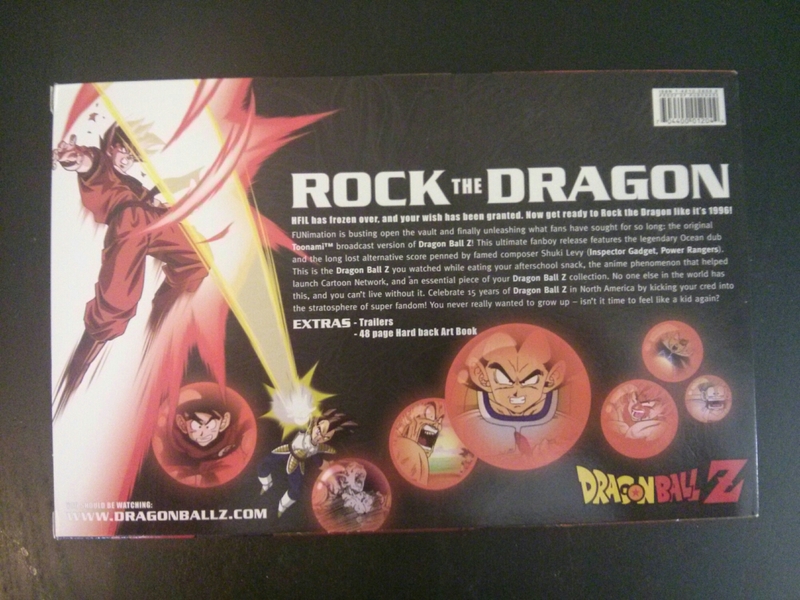 So here it is: the Dragon Ball Z Rock The Dragon Edition. Gaze upon it in wonder and despair. 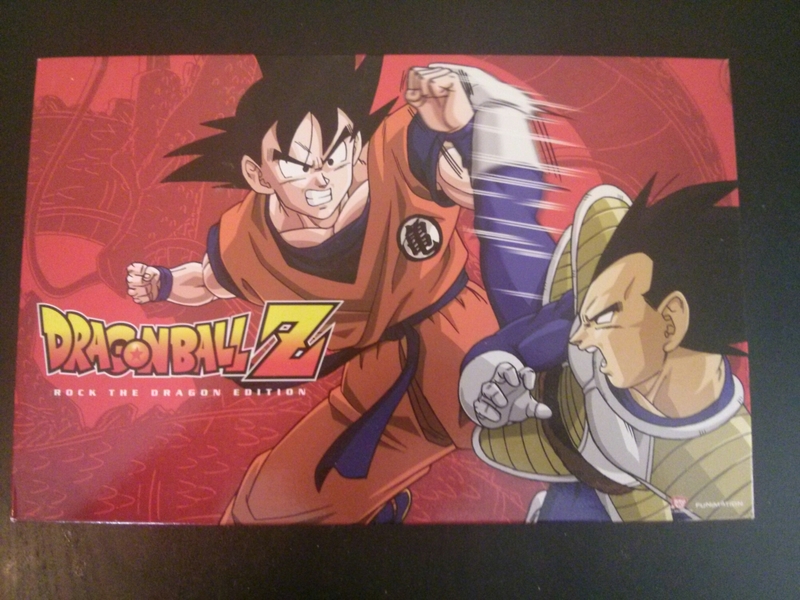 So yeah basically this is FUNimation’s excessively-packaged rerelease of the first two seasons of edited dub DBZ, which they partnered with Power Rangers creators Saban and Canadian dubbing studio The Ocean Group to produce for US TV syndication in 1996. It’s best remembered for reducing 67 episodes to 54 and containing hilarious attempts at editing out content deemed “inappropriate” for american kiddies (for example, endless talk about sending people to “the next dimension” as well as Goku’s visit to the “Home For Infinite Losers” with shirts carefully edited to read “HFIL”). It’s also remembered for giving us such great vocal performances as “It’s over 9000!!!!!!!”. But yeah, edited for American TV version, totally redundant these days save for nostalgia purposes. 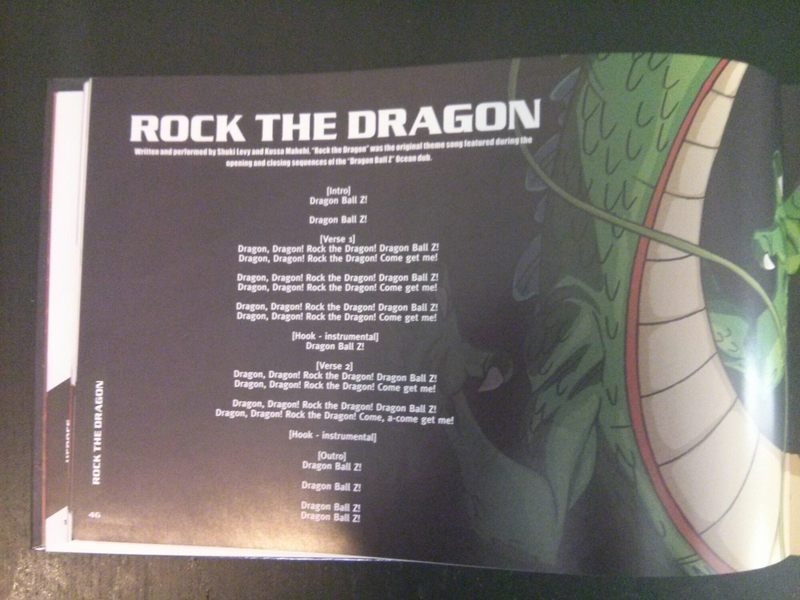 But I guess a gap in FUNimation’s endless stream of DBZ rereleases meant they needed something to fill it, so they pulled this crap out of the archives. It’s probably also worth noting that this set also contains the Toonami edits of the first three DBZ movies, which consist of edited versions of the uncut Pioneer-coproduced dub of the first two movies, as well as the weird Saban-coproduced dub of the third movie which I’m told was originally cut into episode-sized chunks and syndicated along with the series. This is worth noting because these haven’t actually got a video release before, so for people who obsess over completeness it’s a nice thing to have. Although personally I think they’d be better off including the actual uncut audio from the Pioneer movie releases alongside their “ultimate uncut” redub on the remastered movie dvd/bluray releases but hey maybe that’s another chance for a rerelease, in case they finish their current blu-ray release of the series before they’re ready to start putting out the DBZ Kai Buu Saga on blu-ray and face the terror of maybe going 6 months without releasing any DBZ. Did I mention they rerelease this show a lot? Anyway, moving on. Front cover is up the top, here’s the back. Artwork on this is actually pretty good, a nice change for a series which, back in the day, tended to use A LOT of vectorised screenshots on its packaging. The blurb is pretty clearly playing up the whole “nostalgia” thing, which to be honest is kinda why I bought this. I just noticed that the DBZ logo on the back is the more regularly seen yellow and red solid colour one rather than the awesome retro gradient one used elsewhere on the box. Mistake? Licensor requirement? The world will never know (or care). 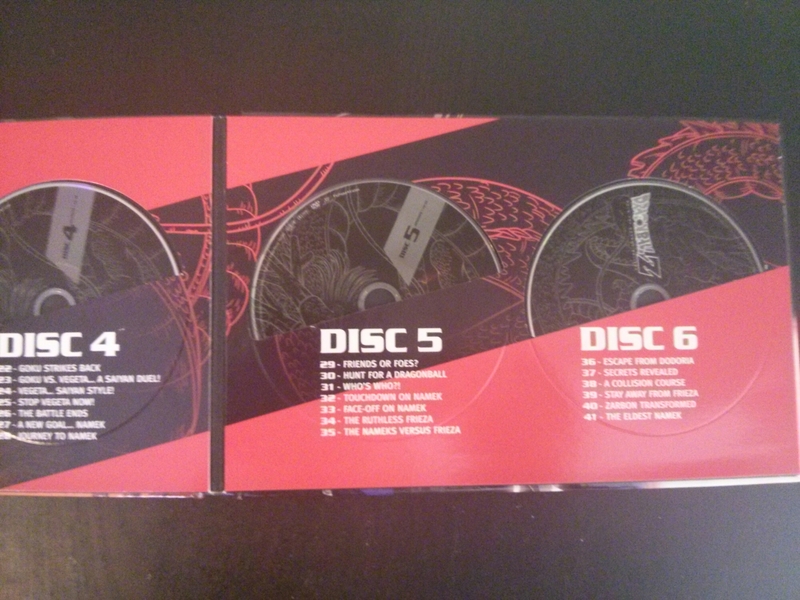 So yeah basically the packaging for this is like a double-width thingy, with a book type thing inside a slipcase. Let’s have a look at the book thingy inside then. 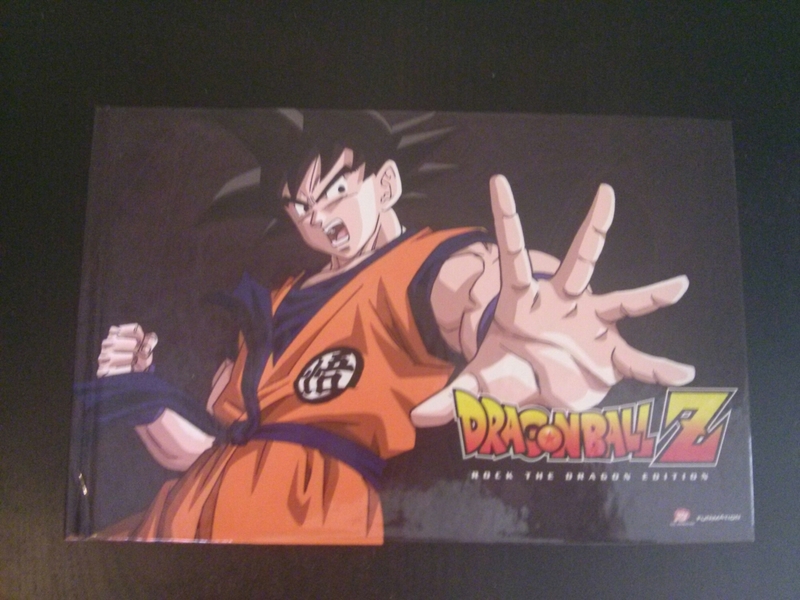 Front of the book has a cool picture of Goku. 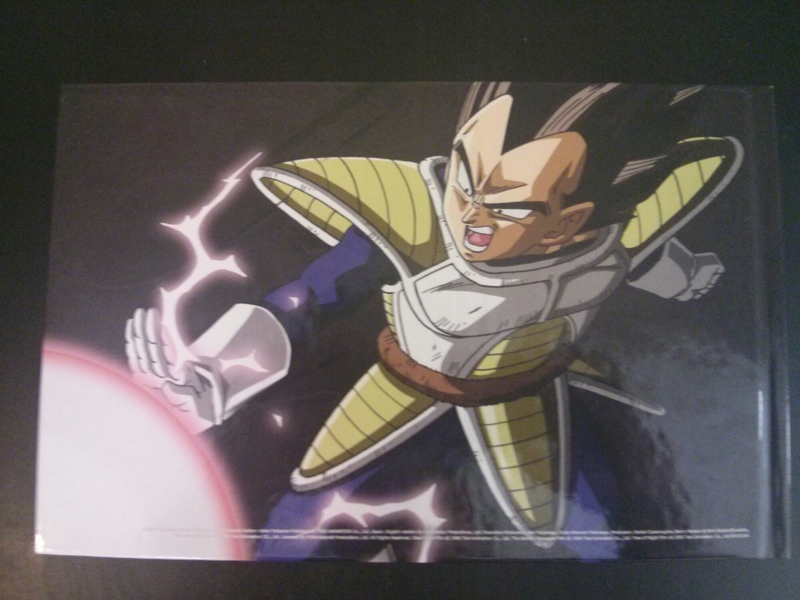 Back cover has a cool picture of Vegeta. Did I mention I like the artwork on this? 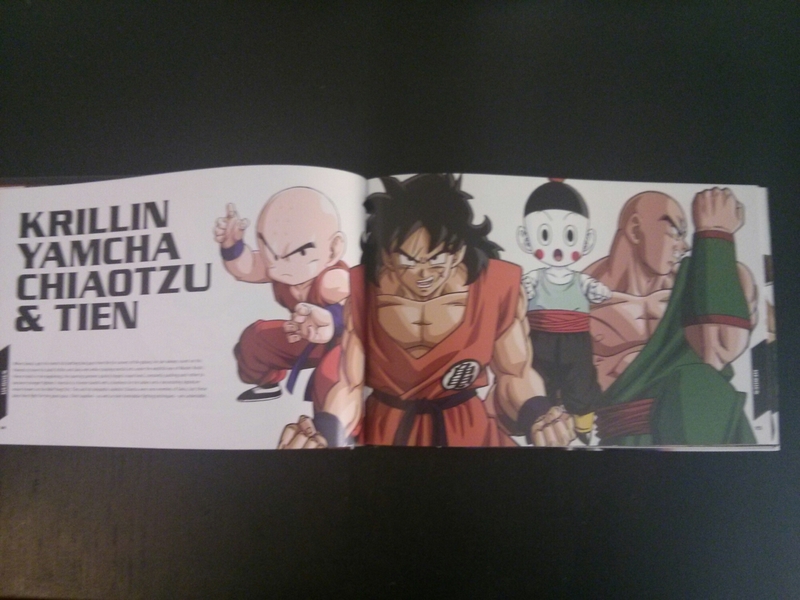 So the book’s got stuff like character profiles, lots of artwork, and a bit of history of the English dub (including explaining stuff like “the next dimension” and “over 9000”). It’s pretty good for what it is, although some of the artwork seems kinda pixellated (no idea if this is an error or just what materials they had, but it’s kinda disappointing for a release like this). It also has perhaps the best page in any anime supplementary booklet ever. Yeah, because you sure couldn’t figure out those lyrics, so isn’t it nice that they wrote them down. Gotta love those theme songs from the era of “better make sure kids know what the name of the show is”. 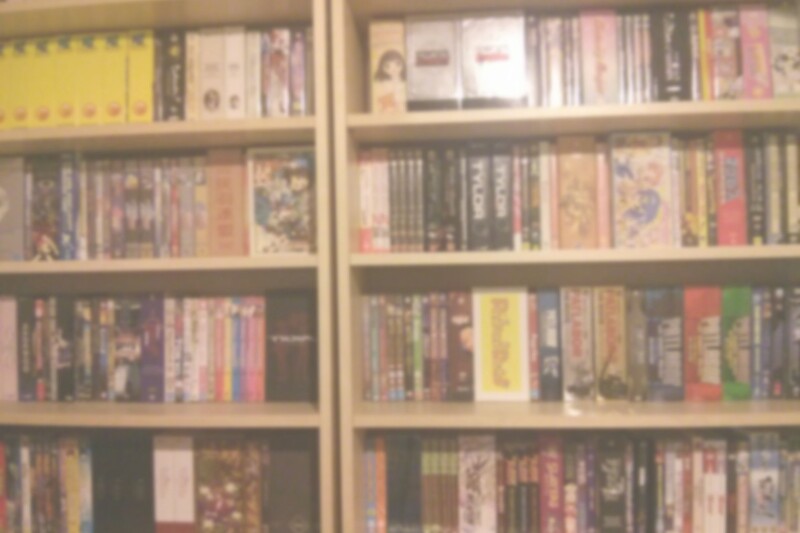 So yeah, if anyone ever wondered if I maybe go a bit too far with the kind of anime stuff I buy, this is surely more evidence to them that yes, I probably do. In fact I’m wondering if, in my future, this article will end up being used in court during divorce proceedings against me. Anyway, stay frosty, readers. I’ll (probably) do another one of these next week with something less embarrassing (because you can’t get much more embarrassing).